The movie “Captain America: The Winter Soldier” has a scene that shows Steve Rogers, having been frozen in ice since the end of World War II, has a notebook full of pop cultural items he thought might be worth checking out. Said items range from obvious ones (“I Love Lucy,” the moon landing) to some odd ones (the original “Rocky”?). The list differs in various international versions of the film. Since others online have gotten into making lists of what they’d suggest for Cap, I thought I’d do so as well. Here’s my suggestions of animated and comic fare he’d probably want to look up, for at least a very broad overview of what’s changed since 1945. I’ll assume my choice options don’t have to be corporation-specific (per Disney owning Marvel). I’ll also assume the DC Comics superheroes are considered fictional characters in the Marvel Universe for this purpose. For animation, I tried to go roughly decade-by-decade, with at least one example from each decade. Yes, I left off plenty, but I assume Captain America’s busy throwing his mighty shield, and whatnot. 1950s Looney Tunes shorts: the height of Warners’ animation output, as well as letting Steve know about post-1945 creations such as the Road Runner and Coyote, “What’s Opera Doc?,” etc. The Flintstones: an example of early/classic TV animation, plus one of the best products from Hanna-Barbera. “How the Grinch Stole Christmas”: an example of the holiday animated TV special. Scooby-Doo, Where Are You? : for a typical example of 70s Saturday morning TV animation. Also, Scooby’s become pretty prominent in animation/society in general. Who Framed Roger Rabbit? : not sure what Steve would make of its portrayal of the 1940s, but he’d surely like the classic cartoon elements from his era being used, plus the animation/writing quality. The Simpsons: the most popular cartoon of the 90s, as well as an example of modern TV animation. Toy Story: the first popular computer-animated feature film, plus probably still one of the most popular ones. It’d also get Steve used to the idea of computer animation dominating these days, since hand-drawn theatrical animation’s deemed “dead” by Hollywood. Steve was shown as a cartoonist at one point, so he’d surely be interested in comic developments since his deep-freeze. The various “Greatest Superman/Batman/Justice League/Wonder Woman/etc. Stories Ever Told” trade paperbacks, “The Dark Knight Returns” and “Watchmen.” For a broad overview of how superhero comics have changed since the 40s. “Peanuts”: the most popular comic strip of the latter half of the 20th century, thus a must-read for Captain America. “Calvin and Hobbes”: if Steve wants a more modern strip, he might want to read Bill Watterson’s classic strip. Probably some random non-superhero comic book, like “The Sandman,” “Maus,” “Love & Rockets,” etc. 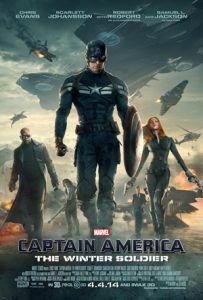 What cartoons would you suggest for Steve Rogers to watch/read?